Are you familiar with black walnut oil? This superfood is more than a smart addition to your diet. You can also use it for hair and skin. Learn more about it, including proven therapeutic benefits. What is Black Walnut Oil? You already know walnuts are a protein-rich, heart-healthy snack. They are good for you because they are a good plant source of omega-3s. They also have the lesser-known omega-9s. And perhaps you’re aware that walnut oil’s nut-heavy flavor complements salads. It also makes for a delicious marinade for wild salmon and other meats. But there’s something even better, the nut oil. Never heard of black walnut oil? Want to know how it’s different from regular walnut oil? You can think of regular walnuts (commonly called “English” walnut) and black walnuts (or “Eastern black walnut”) as first cousins. They are a different species of the genus, Juglandaceae. What Is Black Walnut Oil Used For? Indeed, in North America, where black walnut trees grow, many homeowners consider black walnut trees a nuisance. The dense, green nuts from black walnuts trees litter driveways and lawns. And if they are not removed, they easily stain. Not to mention, once the nuts open and dissolve, they can become a slipping hazard. Is it worth eating them as a snack if you’re going to need to take a shower after eating them? And what’s the big deal about black walnut oil contained in these pesky nuts? Traditional societies think it’s worth the hassle of getting stained. In fact, Native American tribes have been using black walnuts for generations. And not just for food. But for a wide variety of medicinal and everyday uses. The website of the American Indian Health and Diet Project says the juice made from green walnut husks (the covering of the the black walnut seed is green) was used to clean maggots out of wounds. It was also used to rid dogs of intestinal worms. Another example of traditional black walnut uses comes from the White Mountain Apache tribe. They used it to protect their horses and livestock from parasites. Additionally, Native tribes used black walnut tree bark as a tonic for treating aches and pains. Native Americans even used black walnuts in their beauty regimen. In fact, some senior tribal members used the it to dye their hair. They did this by making a dark brown dye from the husks. The most celebrated nutrient in any walnut species is essential omega-3 fatty acids. If you need a reminder, omega-3’s are essential because we must obtain them from food; our bodies do not produce them naturally. The health benefits of omega-3s are too numerous to mention. Over 10 percent of black walnut oil is ALA.
ALA stands for alpha-linoleic acid, which is the plant version of omega-3. Some ALA converts into two other more potent sources of omega-3: EPA and DHA. This study (and thousands of others) conclude EPA and DHA is critical for proper fetal development. This includes brain function, eye function and immune function. Moreover, omega-3’s fight inflammation of the heart. They also protect the arteries against inflammation. Other benefits of omega-3’s include weight management and boosting brain function in those with very mild Alzheimer’s disease. Besides omega-3’s, black walnut contains healthy omega-6 fatty acids. Other beneficial active ingredients in black walnut oil include antioxidants and the trace mineral, iodine. Black walnut is also rich in vitamin K. If you don’t get enough K in your diet, you may develop severe bleeding. Research studies specifically on black walnut oil (Juglans nigra) are difficult to find. This study suggests it may help act as a chelating agent. Chelating agents are those that bind to certain things like heavy metals. Specifically, the aforementioned study finds that the husk of black walnut can remove lead from water. All subspeices of walnut oil possess a wide variety of therapeutic uses. Black walnut isn’t radically different from English walnut in this regard. For example, this study suggests walnut oil can protect against cancer of the esophagus. And this research shows promising results for its role in treating multiple sclerosis. And here’s another great benefit of walnuts in general: eating them can be good for your gut. Not just for weight loss, but also for developing good bacteria within your gut. In addition, walnut oil helps those with type 2 diabetes. It does this by improving a wide variety of metabolic markers. These markers include the lowering of total cholesterol, LDL cholesterol and triglycerides. Walnut oil also increases HDL (the so-called good cholesterol) levels in type 2 diabetes patients. Another study shows it also benefits type 2 diabetes patients by lowering blood sugar. And this study may offer walnut oil’s greatest benefit: preventing premature death. The researchers conclude that for the over 7000 study participants, those who frequently consumed walnuts (and olive oil) died less often from all causes than those who do not. Walnut oil is also beneficial for treating acne, according to this research study. That’s because of its ability to kill two strains of bacteria that cause acne flare-ups. Moreover, people use it for non therapeutic purposes, such as removing paint thinner and polishing wood. If you have a bad cut, dab some black walnut oil on it. It may help prevent an infection. As already mentioned, this is a centuries-old remedy. And it may help with a wide variety of skin conditions, such as ringworm, eczema and dermatitis, etc. It may even help regrow hair. Using walnut oil for skin isn’t as popular as avocado, coconut or olive for skin. However, some online reports say that it can help minimize wrinkles, fine lines, inflammatory skin conditions, and dryness. In addition, as mentioned above, it may help treat acne breakouts. There are a few different ways you can use black walnut oil topically. For instance, you can simply run some directly on your skin. You can combine a small amount with fresh garlic and tea tree oil for a skin infection. Or, you can create your own face pack. Honey and oatmeal are common ingredients for face packs. Add some walnut oil for even softer skin. If you have dandruff, simply add a few drops of the oil to your shampoo. According to a forum on Acne.org, a black walnut hull tincture can help control breakouts. Somebody on the Acne.org forum claims to have had acne since 5th grade. In the past, the person on the forum claims to have only used antibiotics, several topical solutions, and cleansers. Nowadays, the person uses a combination of doxycyline, black walnut hull tincture, clindamycin, and sodium sulfacetamide/sulfur. “I take two baths or showers everyday. My acne has virtually disappeared. I am so happy now. Even though I have lots of scars, I look clean now,” he says. “I found that someone recommended black walnut hull tincture on this web site before. I tried it. It worked!” he adds. The reason why black walnut oil for acne may work is because of its anti-fungal properties. Acne is, in part, caused by an overgrowth of bacteria. Thus, any natural ingredients with anti-bacterial or anti-fungal properties may help control breakouts. As a pre-shampoo treatment, you can combine some of the oil with jojoba and tea tree oil. You can also massage some directly into your scalp as a pre-shampoo treatment. Make sure you leave it in for 15-30 minutes before washing it out. You can also style your hair with it. To do this, simply apply some oil to the ends of your hair and brush it out to tame split ends and out-of-control frizzy hair. The green-colored hull, which is the covering of the actual nut, is the medicinal part of the whole black walnut. Leaf.TV suggests collecting or buying several pounds of dry walnuts in the shell. Then, use a nutcracker to crack open the walnuts. Take the meat out of the shells and place them in a clean bucket or large bowl, the website suggests. Next, take a bucket or large bowl. Place it under a meat grinder. Doing this will collect the ground walnuts. Once you grind the nuts, pour a small amount of walnuts into the meat grinder. You should grind it until it becomes a fine powder. Once the walnuts are ground up, you’ll want to pour the ground walnut “meat” into a cooking pot. LeafTV then suggests adding enough water to barely cover the top of the walnuts. At this point, you’ll want to heat the walnut meat for 45 minutes. (But the website neglects to indicate at what temperature.) Make sure to stir the mixture constantly, suggests LeafTV. The cooked walnut meat should then be placed in an oil press to squeeze out the oil. Obviously, you’ll need to place a container under the oil press to collect the oil. Continue pressing all of the nuts. Expect to render about two quarts of black walnut oil per eight pounds of green hulls. You can also use a cheesecloth to filter the oil. For best results, store the oil in stainless steel containers or dark glass jars. Refrigerate any unused portion. Black walnut oil may be even healthier than regular walnut oil. Like regular walnut oil, it has many uses. 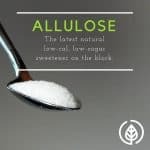 You can use it as a cooking oil or topping for salads and meats (but make sure not to heat it too high because it doesn’t have a lot of saturated fat, which prevents spoilage). Consuming black walnut oil is a good way to get a different source of healthy fats in your diet. And adding it to your hair and skin can help combat dryness and flakiness, among other benefits. And as Native Americans discovered centuries ago, it can even help prevent or eradicate parasites. Keep in mind there are many other traditional uses of black walnut oil. However, many of them lack the backing of modern research. Pumpkin Seed Oil Benefits: What makes it healthy? Beta Glucan Cancer Prevention: Does it Work? I was having joints pain in both hands inside and outside and muscle weakness due to multiple sclerosis (MS). I was falling a lot, I had headaches and lightheadedness. I couldn’t keep myself balanced, and walk with a tremor like I cannot control my steps. The amantadine hydrochloride (Symmetrel®) and modafinil (Provigil®) did very little to help me. I still didn’t feel any better, Since the original diagnosis, My stiffness has slowly increased. October 2017 my brother in-law told us about Natural Herbal Gardens where he ordered herbs that effectively treated his Parkinson’s. We ordered their multiple sclerosis herbal treatment after reading alot of positive reviews, i am happy to report this multiple sclerosis herbal treatment reversed my (MS) condition. My quality of life has greatly improved and every one of my symptoms including muscle weakness and tremors are gone. Their official web official website is naturalherbalgardens . c o m. I can now go about my daily activities, I will be 64 soon.